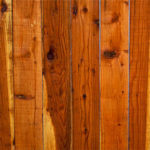 Wood has been used for creating fence for centuries throughout the United States and most of the world. It is the most used material for fence today. Although wood fencing has a limited life and requires maintenance, it is often chosen over other fence materials, like vinyl and aluminum, because it’s the cheapest option. Cheaper, inexpensive compared to other options such as vinyl or aluminum. Can provide full privacy (if desired). Can be painted with any color paint (giving you more styling options). Can be stained and UV treated to prevent rotting and splitting. Wood is a very versatile material that can be formed into any shape. Offered in a variety of lumber types and styles. Can increases your property value. Most fence companies offer very short warranties on most wood fence materials & installs (vinyl fence is often offered with a limited lifetime warranty). It has a limited life, typically 15 – 20 yrs depending on how the fence is maintained and the species and quality of wood used to create it. Untreated fence posts and panels could be vulnerable to fungus and dry rot. Exposure to the elements will often lead to weathering, discoloration, fading, cracking as well as dimensional fluctuations including warping, shrinkage, and swelling. According to the International Association of Certified Home Builders, a wood fence has an approximate lifespan of about 20 years with regular maintenance. A fence’s life expectancy can be increased significantly if you pay up for a high-quality wood. Here are a few of the most popular species that most fence companies offer. 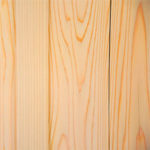 Pressure treated pine is the most popular wood used in residential fence. It is affordable but typically less durable than other woods so it needs to be maintained regularly. 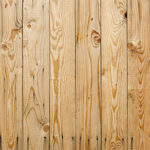 It consists of mostly southern yellow pine and is often considered the least expensive wood to use for a fence (usually half the price of most other woods). Most pressure treated wood is treated with a chemical to preserve the wood and protect it from rot and insects. The most common chemicals used to treat pressure treated wood include: Alkaline Copper Quaternary (ACQ), Copper Azole (CA), and, the most recent, Micronized Copper Quaternary (MCQ). Western Red Cedar is a naturally durable fencing material that provides exceptional character and can be used for both residential and commercial projects. It is a truly sustainable fence material with an extremely low environmental impact (compared to vinyl and other wood species). Western Red Cedar requires no chemical treatment or kiln drying, so it has a much lower carbon footprint and environmental impact than other fence materials like pine, spruce and fir. Western Red Cedar is also one of the world’s most durable woods as it is naturally resistance to warping, moisture, decay and insect damage. The fibers in cedar heartwood contain natural preservatives that are toxic to decay-causing fungi. On average, cedar is nearly half the cost of redwood and about twice as much as pressure treated pine. When you see a cedar fence next to a pressure treated pine fence almost a decade after installation, you should be able to see the difference. The cedar fence will not look as weathered. Whether you choose a #1 grade, with small, tight knots, or clear (the highest grade), Western Red Cedar offers virtually unlimited versatility and design flexibility. Redwood lumber falls into a variety grades that are based upon the section of the redwood tree they are cut from. Redwood grades rank from construction common, a mix of heartwood and sapwood, to clear all heart, an all heart grade with no imperfections. Redwood can be used for all parts of a wood fence but different grades can be used for different parts. Lower grade construction common redwood is OK for fence panels. For posts, it is often better to use construction-heart or clear-heart lumber grades for their durability. Quality redwood will typically consist of deep red tones and will be impervious to rot and insect damage. In order to keep the color and extend the life of your fence, the redwood should be treated with a finish, either a stain or clear finish. If the redwood is left unstained, the fence may turn a grayish color. 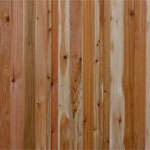 Redwood is a softwood that often considered the most expensive of any wood used in fencing and decks. In most regions of the country, redwood and cedar each cost at least three times more than pressure-treated lumber. Spruce is a great, economic fence option. Depending on your location you may be offered this option. Spruce fencing accepts stain very well to extend the life of the fence and give a nice rich look. Spruce is a very light colored wood so it can easily be painted. If left unmaintained, the color of spruce will fade into a very dark grey. While a great wood for design, spruce can be difficult to maintain. SPF refers to spruce-pine-fir, Canadian woods of similar characteristics that have been grouped for production and marketing. Four species, White Spruce (Picea glauca), Engelmann Spruce (Piceaengelmanni), Lodge pole Pine (Pinus contorta), and Alpine Fir (Abieslaciocarpa) comprise the SPF species group. All yield high-grade timber with relatively small, sound tight knots. SPF lumber is seasoned uniformly in dry kilns to a moisture content of 19% or less. SPF has a high strength-to-weight ratio and is well known for its outstanding working properties. It takes and holds nails exceptionally well and is easily worked with hand and power tools. FACT: 80% of fence panels are made of either Western red cedar or pressure treated, southern yellow pine. Lumber is graded based on how it will be used. The fewer knots and defects, the higher the grade and the more expensive it is. Since the price can often double from one grade to the next, it’s important not to buy a better grade of lumber than needed. The grading of lumber will differ depending on the type of wood. With hardwood, grading designation depends on the number of defects in a board. A lower grade can be perfectly acceptable, depending on placement and usage. Hardwoods are graded by the National Hardwood Lumber Association. Grades are listed from highest to lowest. Firsts and Seconds (FAS) – The best and most expensive grade. Boards 6″ and wider, 8′ and longer. Yields 83-1/3 percent of clear face cuttings with minimum sizes of 4″ x 5′, or 3″ x 7′. Board is graded from the poorer face. Suitable for fine furniture, cabinetry and applications where clear, wide boards are needed. FAS One Face (F1F) – The same as FAS except the board is graded from the better face. Selects (SEL) – Face side is FAS, back side is No. 1 Common. Boards are 4″ and wider, 6′ and longer. Yields 83-1/3 percent clear face cuttings with minimum sizes of 4″ x 5′, or 3″ x 7′. A cost effective substitute for FAS when only one good face is required or smaller cuttings are acceptable. No. 1 Common – A typical thrift or “shop” grade. Boards are 3″ and wider, 4′ and longer. Yields 66-2/3 percent clear face cuttings with minimum sizes of 4″ x 2′, or 3″ x 3′. Provides good value, especially if relatively small pieces can be used. No. 2A & 2B Common – Boards are 3″ and wider, 4′ and longer. Yields 50 percent clear face cuttings 3″ and wider by 2′ and longer. Suitable for some paneling and flooring applications. No. 3A Common – Boards are 3″ and wider, 4′ and longer. Yields 33-1/3 percent clear face cuttings 3″ and wider by 2′ and longer. Economical choice for rough utility applications:, crates, palettes, fencing, etc. No. 3B Common – Boards are 3″ and wider, 4′ and longer. Yields 25 percent clear face cuttings 1-1/2″ and wider by 2′ and longer. Applications same as No. 3A Common. Softwoods are divided into two categories: dimensional lumber, with a grade based on strength, and appearance boards, which are typically used for woodworking projects. Grades listed here are from highest to lowest. C Select – Almost completely clear of defects. D Select = Fine appearance, similar to C Select. May have dime-sized knots. 1 Common = Best material for high quality pine with a knotty look. Knots will be tight, meaning they won’t fall out, and are generally small. 2 Common = Tight knots, but larger than found in 1 Common. Often used for paneling and shelving. Very suitable for general woodworking projects. 3 Common = Knots larger than in 2 Common. 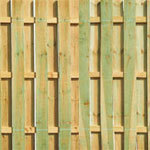 Also used for paneling and shelving, but especially well-suited for fences, boxes and crates. A third picket is placed on top of every two pickets nailed together (the boards overlap by an inch or more) creating full privacy and providing extra strength to the fence. 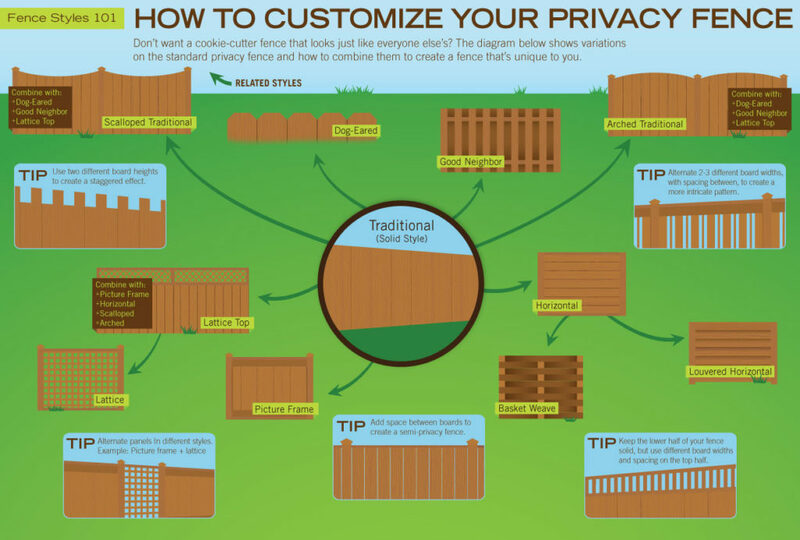 Of course this means more wood (up to 20%-30% more), so it is often more expensive than a run of the mill privacy fence. Board on Board is similar to the stockade fence design, but a larger gap is left between the pickets and another picket is placed over the gap. This type of fencing gives you true privacy. Privacy fence is the most popular style of residential wood fencing. If full privacy is your goal, this is the fence you want. A full privacy fence panel offers close fitting boards that are fit together via tongue and groove or nailed tight against each other (styles include stockade, dog ear, french gothic, and more). There are no natural spaces between the boards. One side of the panel shows the faces of the pickets while the other side shows the rails. Most homeowners will typically position the panels with the picket or board side facing toward the outside. Semi-privacy fence is a style that allows for small gaps between the pickets (boards). The picket spacing determines the ratio of privacy, airflow, and light that’s inherent in each style. Some semi-privacy fencing styles afford almost full privacy depending on the angle.The gaps can be apparent or only viewed at certain angles. The shadowbox design (pictured) is a semi-privacy style where pickets are placed on either side of the rails, one on the front and one on the back. It also gives a nice finished side to both neighbors. It’s a very nice alternative for those who would prefer to not have a solid wall, full privacy fence. Semi-privacy fence helps keep a property secure while allowing a more open-air feeling. 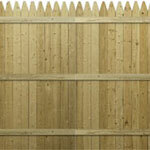 Before any of the fancy styles or designs of fencing were thought about, wooden picket fences existed. 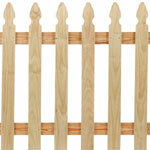 There are several types of picket fence styles including classic, contemporary, and traditional. Wood Picket fences have always been relatively inexpensive and easily repaired, and modern wood treatments & finishes make today’s’ wood picket fences a durable and relatively low maintenance fencing choice. Picket fencing adds a decorative element and may also work for pet containment. These fences have spaced pickets running along one side of the fence rail and are generally a maximum of 4 feet tall. They are usually available in pre-assembled panels from 6 to 8 feet in length. This type of fence is most common in farms and other agricultural facilities. They do not have any pickets, only strong rails running along on posts. Commonly 2, 3 or 4 rails. The hand-split style of components has a tremendous curb appeal to this style of fencing. 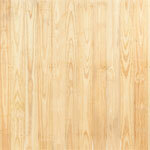 Pickets (aka boards) – The pickets are generally rough cut and come in variety of width and depth. Most commonly available pickets are sized as follows. But if you have a specific need, you can have your sawmill cut you any size pickets you want. 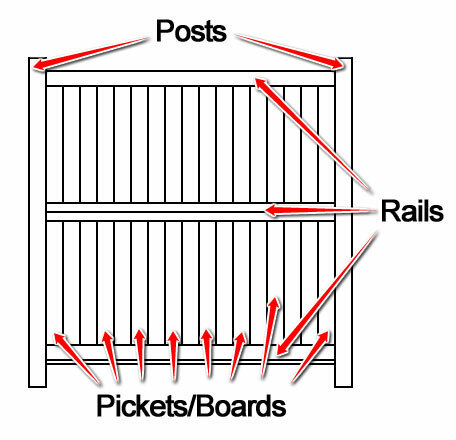 Rails – the rails need to be little thicker than the pickets. Generally rails are placed on the outside/ back of the fence. For extra strength you can run rails diagonally on a segment besides running the basic horizontal rail. Rails are available in two common sizes. Posts – The posts of your wood fence are one of the most important components. It faces the greatest danger of decomposition since it resides within the ground. In most cases, posts will begin to rot first and begin to fall. There is an old fashioned technique of avoiding the posts from rotting, which still works pretty well. The bottom of the posts is charred black on an open fire and then stuck in the ground with rock salt. This prevents the wood in the ground from rotting or at least makes the posts last longer. Most fence posts are a standard size of 4ft x 4ft x 8ft. If you have a fence taller than the standard 6ft, then you will need taller posts to go with it. In most cases one-third of the posts resides underground while two-thirds is above. Fasteners – Since you are dealing with wood, best way to fasten the wood is nail and wood staples. Other important hardware you will need to choose is your hinges, that is if you got a gate on your fence line. There are varieties of metal hinges to choose from for wooden gates. They come in all different sizes and metal types. If you get yourself stainless steel ones, you save yourself the problem of rust. So here is a small list of parts you will need to get your fence together. There are two basic methods of wood fence construction. Prefabricated panels and onsite building. Each method will vary depending on the fence company. Below are the basic definitions of each fence building methods. Prefabricated fence panels consist of 6ft to 8ft sections of ready made fence. These types of panels are put together and sold by the manufacturer. 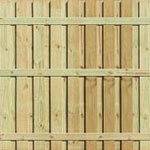 One major advantage of using pre-made fence panels is time, especially if you are doing it yourself. Onsite fence building requires piece by piece construction starting with posts, adding the rails, and finally the pickets. This process is repeated every 6ft to 8ft until the fence is completed. With this type of fence installation, the quality of fence will come down to the expertise of the installer. It will also probably take a bit longer to install. Create some additional style to your fence by requesting lattice, arches, or scallops. Lattice is offered in diagonal or horizontal/vertical patterns, providing your fence with a beautiful, finished look. The top of your boards can be accented with dog ear pickets or pointed country pickets. Depending on the fence materials chosen, other options such as color, post cap style, and more are available! My husband has been wanting to get a fence for the backyard for some time now and I think I finally agree. We can’t decide if we want wood or what color is best or pretty much anything. Your article really helped me understand the advantages of a wood fence. One advantage you mentioned that I really agree with was how much variety there is for lumber and how it can be painted over anytime. This was really helpful and now I need to show it to my husband so we can get started looking for a fencing company. Thanks for helping me learn more about wooden fences. I actually didn’t know that the grading designation for hardwood reflects how many defects are on the board. I’m kind of interested to learn more about what tools or measurements are used to determine these grades and how they could differ depending on the type of wood that is being used.